Portugal's dark metal pioneers MOONSPELL are set to release their brand new and hotly anticipated album titled "1755," on November 3 with Napalm Records. The band's 13th studio record will not only outclass all standards you have ever heard from your favorite Portuguese before, sung in their native language it's the musical version of the year of horror when a giant earthquake wrecked MOONSPELL's hometown Lisbon. This album is a dark adventure, breathtaking and completely earthshaking. MOONSPELL's "1755," coming as CD digi pack, digital download & LP gatefold editions, is now available to pre-order HERE. For the first time ever, MOONSPELL recorded their new album in portuguese only, but there will be one bonus track appearing in Spanish, and today the band has released this stunning version for the song "Desastre." Dive into the brand new tunes by the masters of dark art and check out MOONSPELL's upcoming album- bonus track right HERE. Vocalist and creative spirit Fernando Ribeiro said, "Desastre is a homage to all our Spanish-speaking fans around the world. In the late 18th century, in our streets a mixture of Spanish and Portuguese was spoken and guess what that's exactly what we do here! This song is about how the earthquake took Lisbon by surprise and how we are nothing but a a human leave left alone to break when a strong winds blows. Enjoy Desastre, gracias y saludos." 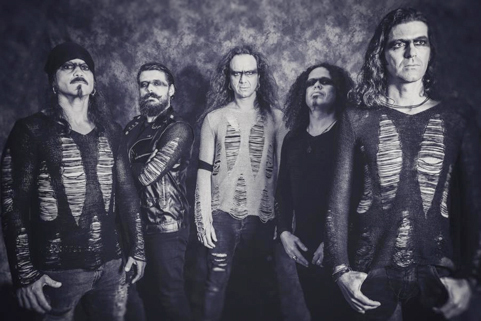 In support of MOONSPELL's upcoming release, the band will be heavily hitting the road this year, while kicking off in Portugal and Spain first, followed by an extensive tour with CRADLE OF FILTH in early 2018.